The site was highlighted on the first OS-map of the area in 1857, but the earliest mention of it seems to be as far back as 1204 CE, where it was named as Clochrodric and variants on that title several times in the 13th century. 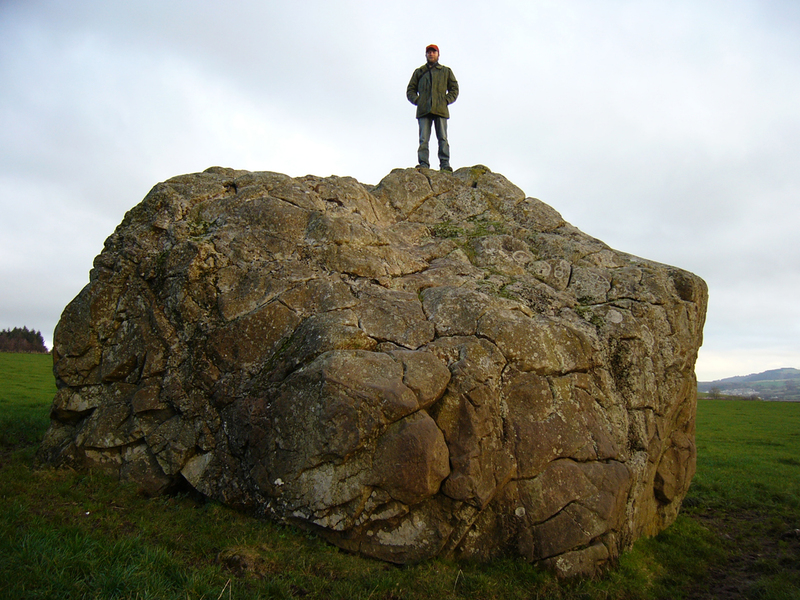 It was suggested by the old place-name student, Sir H. Maxwell, to derive from ‘the Stone of Ryderch’, who was the ruler of Strathclyde in the 6th century. He may be right. Folklore told that this stone was not only the place where the druids held office and dispensed justice, but that it was also the burial-place of the Strathclyde King, Ryderch Hael. Campsie, Alison, “Scotland’s Mysterious Rocking Stones,” in The Scotsman, 17 August, 2017. 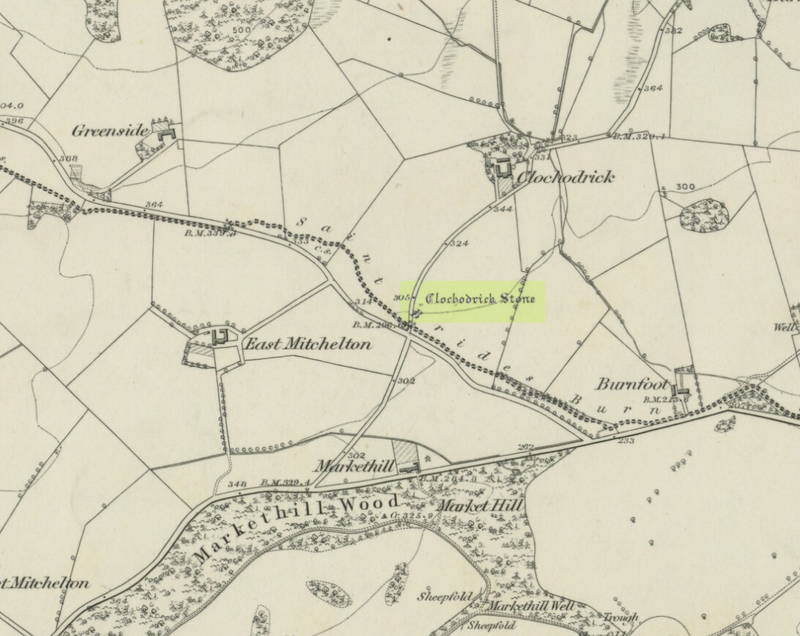 MacKenzie, Robert D., Kilbarchan: A Parish History, Alexander Gardner: Paisley 1902. Acknowledgements: Big thanks to Frank Mercer for use of his photos and catalytic inception in this site profile. This entry was posted in Renfrewshire, Sacred Nature, Scotland and tagged animism, antiquarian, antiquities, Archaeology, boundaries, druids, folklore, geology, geophysics, heritage, Howwood, Kilbarchan, lava, legendary rocks, legends, Lochwinnoch, myths, prophecy, Renfrewshire, ritual magick, rocking stones, sacred sites, Scotland, traditions. Bookmark the permalink.